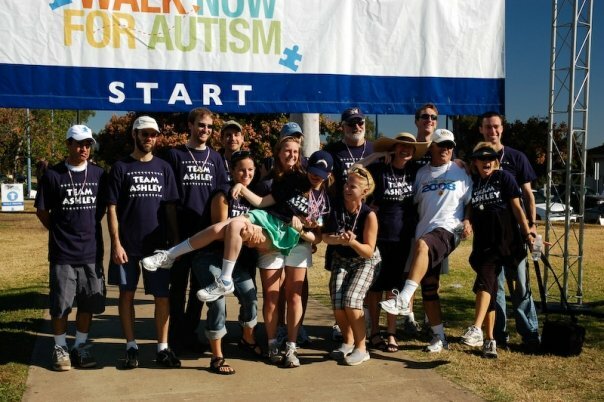 This article was originally published on the Autism Speaks blog at http://walknowforautismspeaks.wordpress.com/2009/10/07/why-i-walk-for-more-research-funding/. 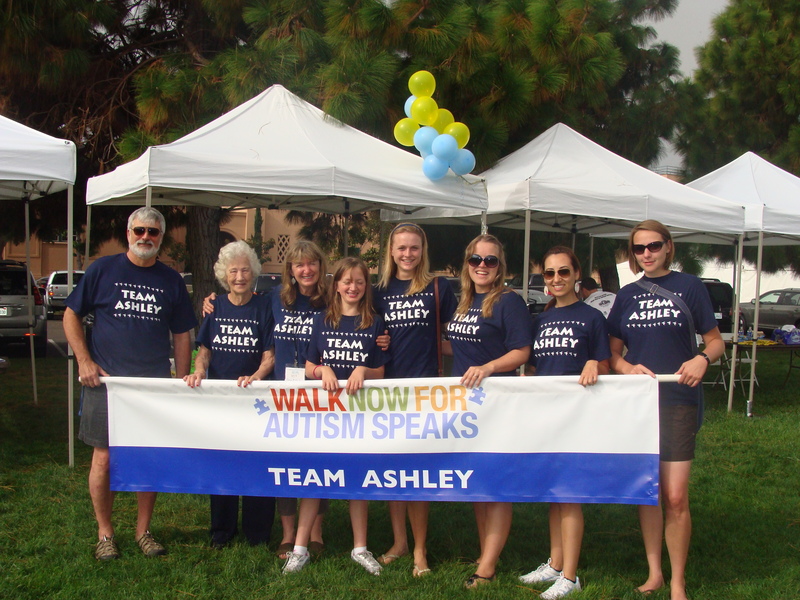 My parents have provided the most amazing support throughout Ashley’s sixteen years, not only striving to improve her academic and social skills, but also addressing issues, for instance of education, at a higher, community level. At the time, we lived outside of Cleveland, Ohio, where the special education program was severely lacking. My parents advocated tirelessly, working with school administrators and medical experts alike until a progressive, Cleveland Clinic-driven curriculum was implemented into Ashley’s school. By helping the autism community, they were helping my sister beyond what our family alone could provide. This concept has shaped my perspective in every way, to focus on affecting constructive, widespread change from the reverberating efforts initiated and validated at the personal level. This year’s San Diego Walk offered just that opportunity. Autism Speaks events always honor the extraordinary individuals with autism and celebrate their courageous supporters, while further emphasizing the vital need for ever more research funding. This time, the behind-the-scenes expert scientists were physically a part of that tremendous support network, and the community was as strengthened as it was complete. To meet the researchers who have dedicated their careers to this cause was a profound experience for many community members. They were able to see for themselves that the solution is as intricate and complicated as the disorder, involving tens of thousands of researchers around the world, working around the clock until the goals are met. The innovative databanks, global collaborations, and rigorous studies were before a subtopic on the website’s newsfeed; now, a reality and a hope. 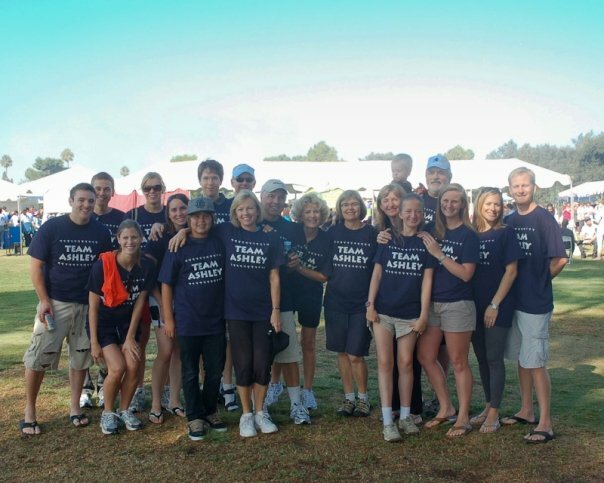 For my family, the day of Walk Now for Autism Speaks is one of the greatest days of the year. For many hours, we are surrounded by others who share a deep understanding of the struggles we face and the goals we set. Not everyone can appreciate the absolute joy that one word, one minute of eye contact, one step can elicit. But these people understand, and that’s why we are a community. My little sister is always easily convinced that the thousands have gathered for her. And they do – every year. As much as she needs to see the masses to believe it, we adults also need a tangible reason to believe in the advancement of science and therapeutics. The ambition, intellect, and promise that the research tent offered was more genuine than any statistic, and reason enough to keep walking.